The further West you travel in the U.S., the more you realize how young this nation is. From the majestic Grand Canyon in Arizona to the deep blue mountain lakes in Colorado to the vast prairies of Wyoming and South Dakota – nature has never been fully conquered, not even by the white man. This is not true for the American Indians. The rock-carved faces of the U.S. Presidents at Mount Rushmore are only a two-hour drive away from the harsh and hostile landscape of the Badlands where the natives of this proud country found their last refuge. 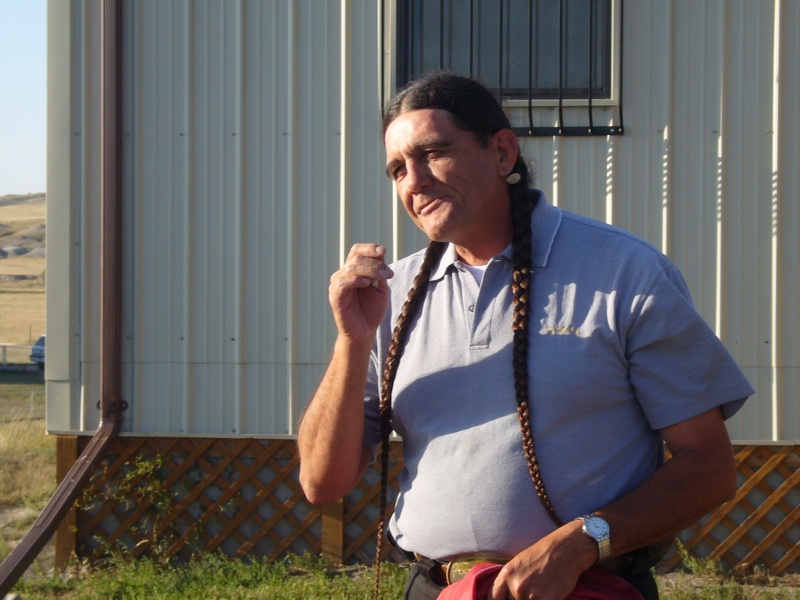 I never wrote about it, but the visit at the reservation in South Dakota left a lasting impression on me when my colleagues Adrienne Woltersdorf and Cem Sey and I passed by there in late August 2008 on our way from the Democratic Convention in Denver, Colorado to the Republican Convention in St. Paul, Minneapolis. As we drove into the reservation, the poverty was visible in the dusty roads, the ramshackle houses and in the tired looks on the faces of the young men. The main town Wounded Knee had been the site of the last big massacre of the Indian Wars in 1890. It was also the site of the last Indian rebellion of the 20th century – in 1973, the siege of Wounded Knee turned into a national movement for Native American self-determination. The history of the American West is about pushing limits and redrawing borders – and the political and social landscape of the region is shifting again today. 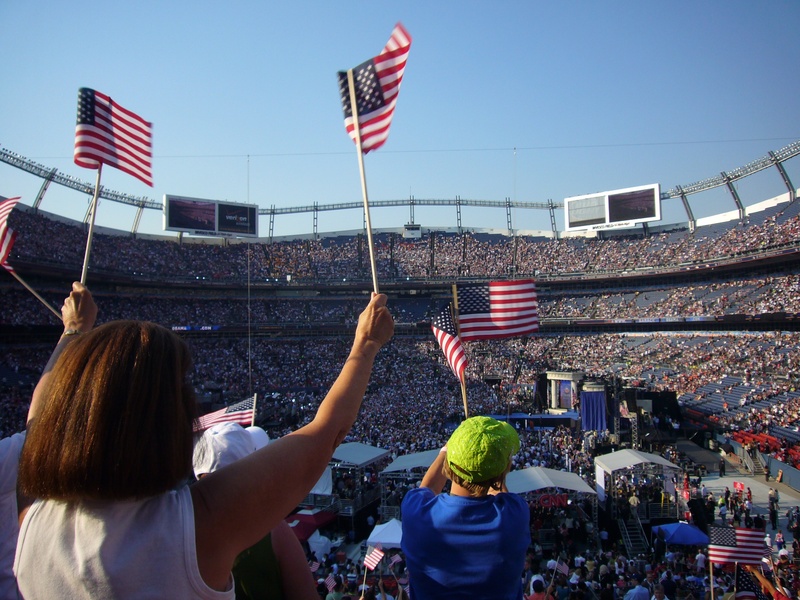 By 2008, America’s Mountain West and the South West had changed so much that the Democrats picked Denver as the place to nominate their candidate Barack Obama for a reason: Liberals from other parts of the country had discovered cities like Denver or Santa Fe for their quality of life. Governor Brian Schweitzer of Montana was the star of the Convention since he represented the type of Democrat who was successful in the West: Fiscally conservative, environmentally conscious and gun loving. The biggest demographic change is caused by the steady influx of Hispanic immigrants from the South of America’s borders. Millions had come to the U.S. illegally in the recent past – and in 2010 the state of Arizona tried to reverse the tide by passing legislation that would allow police to check the immigration status of anyone who they got a hold of, say because of a violation of the traffic rules. Pro-immigration groups were up in arms against the law they said was discriminating against people of color. In July 2010, I traveled to Arizona for several articles, among them a big feature about the immigration fight. After a Catholic Sunday service in Phoenix, I ate tacos and drank horchata in the church courtyard and spoke with illegal immigrants about their situations. They came from Mexico in search of a better life, they worked as housemaids or on construction sites – jobs that Americans did not want. They paid taxes and their children were born in the U.S. But the parents lived in constant fear of deportation, and the new law worried them even more. Driving South from Phoenix towards the border, it became obvious that even the new border fence would not be able to separate two worlds that had already grown together. In Tucson, I interviewed police chief Roberto Villasenor who was vigorously opposed to the law which he feared would result in discrimination lawsuits against his officers. 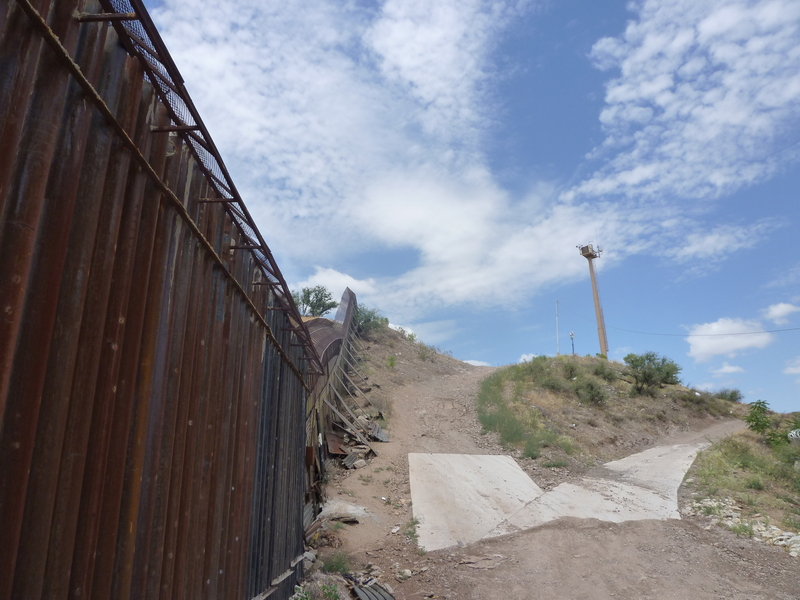 In the border town Nogales, Spanish had replaced English on billboards and in conversations. 2008 and 2012 might have been the last election campaigns where the candidates spent most of their time wooing the shrinking white working class in the Midwest. President Obama owes a big part of his victory to voters with Latino roots – and he had his first symbolic breakthrough among this group in the primaries in Nevada in 2008. It will be as it always has been in the history of this relatively young nation: What happens at the frontiers in the rugged Wild West won’t stay there, but will eventually shake things up in Washington. This entry was posted in The Five U.S.Years and tagged Arizona, Arizona immigration law, Barack Obama, Brian Schweitzer, FT Deutschland, Mountain West, Nogales, Oglala Sioux, Pine Ridge Indian Reservation, Sabine Muscat, SB 1070, South Dakota, South West. Bookmark the permalink. I visited Tucson last spring and I was struck by how much it had changed from my visits decades ago.Then, it had been not much more than a kind of town center for a ranching community. It may have always had a large Spanish-speaking population, but now this cultural influence is everywhere..